Thank you so much for having your say. You have been an incredible Core Member and valued donor, so your responses are really important. Thanks for all that you do, you've been an incredible Core Member and valued donor. Thank you so much for having your say. You have been an incredible member and valued donor, so your responses are really important. Thanks for all that you do, you've been an incredible member and valued donor. Told us your vision on a different email? Thanks for having your say! Make sure you check your other email for a link to your personalised report. GetUp is a movement of everyday people who take action for a better Australia. You're signed up to 0/4 of our networks! GetUp is at the forefront of building a people-powered movement to drive the transition to a clean energy future. When you said you wanted us to make climate change our number one issue – we listened. In fact we have restructured our organisation to prioritise our campaigns for climate justice and clean energy. We’re investing in a crack team to work with you to build the consumer power to shift markets and the electoral power to shift politics. We're also working to prevent the expansion of harmful fossil fuel industries in areas like the Galilee Basin, and we'll be looking for more opportunities to keep fossil fuels in the ground where they belong. By year’s end we’ll have switched 50,000 people through our Better Power campaign, helping members divest more than $100 million of their money from dirty power companies like AGL, Origin and EnergyAustralia and putting economic pressure on them to change their polluting ways. Divesting is quickly becoming one of the most powerful ways of getting the attention of big business, and we'll be using our consumer power to put financial pressure on big banks to stop investing in the fossil fuel industry. By this time next year, we’ll have supported tens of thousands of GetUp members to connect with their friends, family, neighbours and workmates to put all politicians on notice. At the next election, we will do everything we can to ensure whomever forms government knows we will take nothing less than serious action to combat the issue that defines our moment in history. GetUp members never waiver from the big challenges. Tackling climate change and building a clean economy remains your number one priority. Together we’ve focused on creating political and economic power that can drive the changes the science demands. 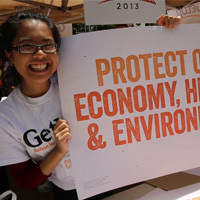 In the 2014 Victorian State Election hundreds of GetUp members joined our friends at Environment Victoria to make clean energy a vote deciding issue by door knocking our neighbours, hosting candidate forums and writing letters to local media. 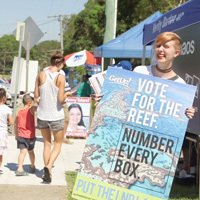 At the fast-tracked 2015 Queensland State Election we turbocharged the reef campaign with thousands of GetUp members turning out on election day to let people know how they could vote to save the reef. We’ve also helped more than 11,000 people switch from dirty power providers to those backed by renewable energy, sending a clear message to the government and dirty power companies that we’re ready to support clean energy. 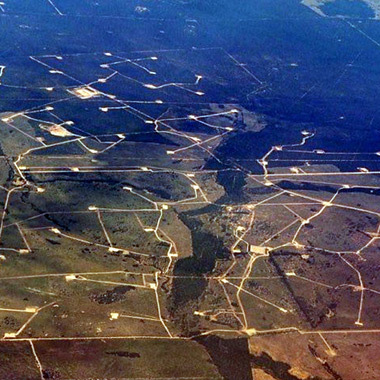 Just this month we've partnered with the Lock the Gate Alliance to hit the ground in key coal seam gas hot spots like the Northern Rivers, supporting residents in their fight against unsafe gas mining in their communities. GetUp has been fighting for fairer treatment of refugees for more than five years – and in that time, we’ve seen a lot of policies come and go. 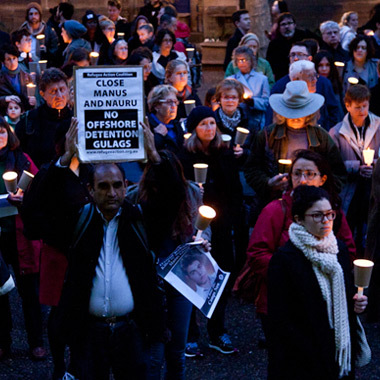 Now, to tackle the cruelties in Australia's current policy approach to asylum seekers, it's going to take a broad and concerted approach and cultural shift. In the next year, GetUp members will be continuing with the tried and true tactics we know work – including rallying the public around getting kids out of detention, amplifying the voices of refugees and those who the government is trying to silence. We'll also be stepping up with new and innovative tactics to win, whether it be developing alternative policies, engaging local organisers in key electorates, funding investigative journalism, and building coalitions between faith groups, charities and communities to make Australia's refugee policies more compassionate. One thing’s for sure – we’re ready to escalate this fight. We’ll keep you updated on any exciting new developments. Over the past year GetUp members have continued to shine a light on the darkest aspects of our government’s asylum seeker policies. When our 157 asylum seekers were detained on the high seas, and our government tried to turn them back to persecution, we reminded people of the danger they would face. When another person died as a result of our government’s negligence, we came together once more and lit a candle to grieve the loss of Hamid Kehazaei. We fought to expose the abuse inflicted on children in detention and demanded their release. And we continued to tell the untold stories that would otherwise be hidden behind the government’s veil of secrecy. 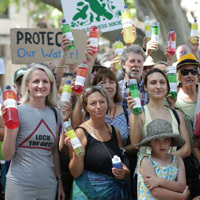 Stopping CSG giants AGL and Santos remain our major priorities. We'll do everything possible to protect our land and water from these companies as they continue their rapid expansion into NSW. We'll continue to expose the truth about AGL's dodgy operations and Santos' spills and contaminations. Already, over 10,000 people have switched their energy provider away from dirty energy providers like AGL, and we'll continue to do everything in our powers to help local communities fight CSG on the front lines. We've worked closely with local groups such as Lock the Gate, Land Water Future and Groundswell Gloucester to support communities fighting against dangerous fracking projects in Gloucester and Narrabri. When AGL's new CEO Andrew Vesey started in February this year, we greeted him with a 20,000 strong petition asking him to shut down coal seam gas in Gloucester. Vesey subsequently called for a review into all of AGL's upstream gas operations. This month we've partnered with Lock the Gate to hit the ground in key coal seam gas hot spots like the Northern Rivers, supporting the residents in their fight against CSG mining in their communities, and encouraging people to use their consumer power to take a stand against CSG by switching their energy to Powershop - a green energy company that doesn't support fracking. With 11 of the world's top 20 investment banks already ruling out funding Abbot Point, multiple legal challenges against the Carmichael mine, and a falling coal price, we believe the tide is turning against Adani. This year we will continue to pressure Australian banks not to fund the project, hold the Queensland Labor Government to their commitments to save the Reef, and look for more strategic opportunities to make sure Carmichael and Abbot Point are ruled out forever. At the start of the year we created a series of hard-hitting TV ads exposing the LNP Campbell Newman government’s terrible track record on reef protection in the lead up to the Queensland election. Around 600 GetUp volunteers handed out 'How-to-Vote' cards on the day, encouraging people to use their vote to save the Reef. 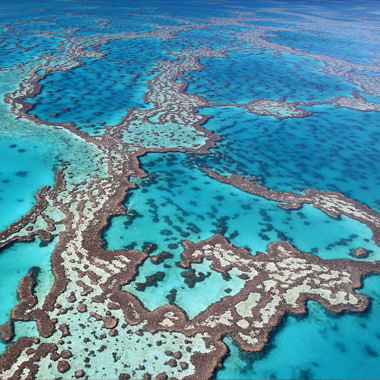 Together, we helped kick out a Government hellbent on Reef destruction. This year we also worked with an Indian documentary film crew to make a campaign video exposing Adani's history of environmental destruction and human rights violations in Mundra, India. That has now been seen over 3.5 million times. We have supported legal challenges against Abbot Point, and have supported actions by AYCC and 350 pressuring Commonwealth Bank to rule out funding Adani. The government, being lobbied by big mining companies, are planning to strip DGR status from our movement’s friends - over 600 organisations like the Australian Conservation Foundation, the Wilderness Society and Friends of the Earth. This would hamstring the good work of these organisations and cripple their power to fight for the environment. Of course we’re planning to fight them on this every step of the way, with GetUp members and GetUp's National Director making submissions to the inquiry. This year, we’re also setting up a legal fighting fund to increase our legal power against these sorts of attacks - all with the aim of protecting the voices of individuals, communities and organisations from being muted by the Government and vested interests. GetUp has been a part of some ground-breaking electoral reform in the past, such as our landmark High Court case and we’re determined to keep our democracy healthy into the future. Democracy is what allows movements such as ours to flourish, and needs vigilant protection from vested interests that seek to undermine real people power. On election day in Queensland we set up a hotline to counter the disenfranchising Voter-ID laws imposed on QLD citizens - encouraging those without photo identification to know their rights and help them fight the systemic injustices they face. We also collected stories from voters who were wrongly turned away from polling booths across Queensland, which were used in submissions to the Joint Standing Committee on Electoral Matters that went on to recommend the scrapping of Voter-ID laws. We know that negotiators want to get the TPP negotiations over the line before the US Presidential Election season gets underway -- which means it’s crunch time for the Trans-Pacific Partnership. Over the next few months, GetUp members will be stepping up their efforts to pressure Trade Minister Andrew Robb to release the text of the deal, come clean about the risks this deal poses for Australia -- and build pressure on MPs and Senators to announce their position on this dirty deal. We’ll have events and ad blitzes to build the pressure -- more to come soon! In early 2015, GetUp launched a campaign on the risks of the Trans-Pacific Partnership (or TPP) -- a trade agreement that could have broad and devastating implications for Australia’s sovereignty. 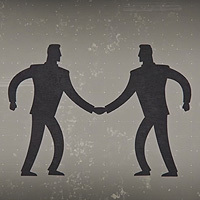 Negotiations between Australia and 11 other countries have been very secretive, but from what we know so far, the deal could allow foreign corporations to sue our government, it could force medicine prices, and more. GetUp members have helped a snappy explanatory video to be seen by more than a million people around the country, and launched an on-the-ground game to run a visibility campaign in Trade Minister Andrew Robb’s electorate -- with a local community action night, a billboard, flyers and posters. 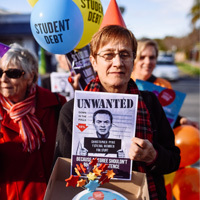 Despite overwhelming public and parliamentary rejection of $100K degrees and US-style student debt, Mr Pyne has vowed to never give up on deregulation. Unfortunately for him, neither will we. Together with our formidable partners on this campaign, the National Union of Students and the National Tertiary Education Union, we'll keep fighting to keep higher education accessible and affordable, right through to the next election. We'll also be using lessons from our deregulation campaign to help states fight the mammoth $80 billion federal budget cut to schools and hospitals funding. For over 12 months, Education Minister Christopher Pyne has been talking into one ear of crossbench senators while GetUp members have been talking in the other. Our efforts to reach the crossbench, through petitions, letters, calls, rallies, ads and billboards, ensured our senators had the community backing to stand firm against Mr Pyne's plans – and saw his bills defeated twice over. The 2015 budget revealed Government plans to cut nearly $2 billion from the health system, not to mention the $80 billion federal budget cut to schools and hospitals funding. GetUp members will continue to work with sector allies to ensure a properly funded healthcare for all Australians, lifting up the voices of experts and holding our local representatives to account. We did it! Thanks to relentless campaigning efforts by GetUp members, alongside public health economists, peak health bodies, and nurses and doctors' groups, Medicare was rendered a no-go zone in this year's budget – not even the slightest whiff of copayment. It takes more than just legislation to address an issue like domestic violence: it’ll take heartfelt, strong, community-led campaigning to make sure that this epidemic won’t continue for decades to come. Momentum is building to address the issue, and GetUp members will be front and centre in pressuring MPs to deliver funding to frontline services who are best placed to address this issue -- including funding for legal services, community legal centres and the services and resources that those experiencing domestic violence say they need most. It’ll take many hands to reform a broadly underfunded system riddled with holes, but we know GetUp members are up to the challenge. 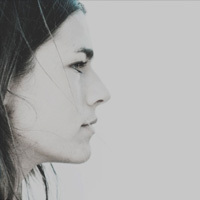 One in three women over the age of 15 in Australia have experienced physical violence, and in 2014 on average one woman died in a domestic violence situation every week. In 2015, it’s been closer to two women killed a week – it’s no surprise the nation is beginning to think of domestic violence as an epidemic. GetUp members have been working against both the causes and the symptoms – last year we campaigned against irresponsible media reporting entrenching negative ideas about women, and this year we joined up with Fair Agenda to build the pressure on government MPs to put their money where their mouth is, and fund the services that most urgently need secure funding, in order to be able to properly prevent, and protect people from, domestic violence. We’ve already seen the Abbott government cave under pressure from the sector and reverse many of the cuts he made last budget – now it’s time for them to do more than fix their own mistakes, and fully fund frontline services. The donations of GetUp members are helping Wangan and Jagalingou's legal challenge of the National Native Title Tribunal’s decision to allow the Queensland Government to issue mining leases to Adani, and have headed off on a world tour to meet with the world's biggest investment banks, and convince them not to fund Adani's project. GetUp members have thrown their support behind the Wangan and Jagalingou people - the Traditional Owners of land in Queensland where mining giant Adani want to build their massive Carmichael coal mine. The Wangan and Jagalingou Traditional Owner’s Council are opposed to the mine for the irreparable damage it will do their land and culture. 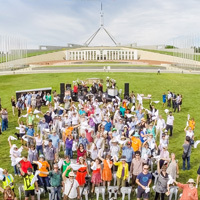 They launched their campaign via GetUp's grassroots campaigning platform CommunityRun, which quickly became one of the biggest campaigns the platform has ever hosted. We need to keep the fight up right until the next election. This will involve more game changing campaigning. We all know our politicians are poll-driven, and thanks to critical research commissioned by GetUp members we already know that 85% of Australians agree we need a smarter Budget that gets rid of wasteful and unnecessary handouts for corporations and the very wealthy. Commissioning these kinds of stats, and getting them into politicians offices, really has a chance to change things. Plans are also afoot to further share our research and strategy with other progressive organisations in the same space, to create a united voice for fair economic reform in the lead up to the next election whilst continuing to campaign against cutbacks to schools and hospitals. This budget, GetUp members tried something game changing. We pitched in to help fund eight fairer budget policy alternatives backed by rigorous modelling and analysis from some of the best policy experts in the business. 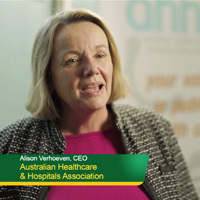 This helped shift the conversation about revenue reform in Australia, with heavyweights like former Governor of the Reserve Bank Bernie Fraser supporting our calls for reform, and even appearing in one of our videos. GetUp members helped spread the word by sending our Brighter Budget report into politicians’ offices and calling to talk to their MP or senator. All the while, we of course kept up our vigorous campaigns against the harsh cuts in last year’s budget - and not only helped stop cuts to Medicare and pensions but had the Government drop these plans altogether. Already more than 61,000 people have stepped up to prevent our SBS from becoming another commercial television station. GetUp members will continue to fight to thwart any attacks on our beloved public broadcasters and stand up for free, fair and independent media. 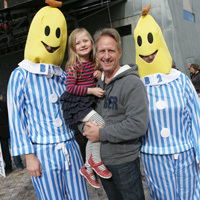 After the government shredded funding for our ABC in the 2014 Federal Budget, they then turned their attention to another beloved public broadcaster, our SBS. So we teamed up with Save Our SBS, Margaret Pomeranz and Quentin Dempster to protect our SBS from being commercialised further. We’ve also seen a groundswell of support to fight the scrapping of the ABC’s coverage of the Women’s Basketball League, with petition deliveries in every capital city around Australia. GetUp will continue to fight for the protection of these gorgeous Heritage-listed forests, and if the IPA thinks they can pull a stunt like that again, we’ll be there to remind the world how important this unique and diverse environment is. With the Government and Opposition in agreement about forests being a source of renewable energy that counts towards the Renewable Energy Target, we’ll be putting pressure on them in the lead up to the Paris talks to remove this sneaky provision in discussions about Renewable Energy Targets beyond 2020. Late last year the anti-environment think-tank, the Institute of Public Affairs (IPA), launched the so-called ‘Australian Environment Foundation’ to lobby the World Heritage Committee to remove the World Heritage listing from Tasmania’s pristine forests. GetUp members got very fired up by this and chipped in to place 60 billboards around Doha, Qatar, where the World Heritage Committee was due to meet. 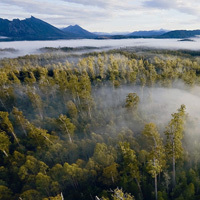 Together, we got the message out there, setting the record straight that Tassie Forests are still very much in need of protection, with the World Heritage Committee maintaining the forest’s World Heritage status. We know this for sure: there’s no shortage of gender inequities in 2015 Australia. In the year to come, we’ll have plenty to do – from building pressure on the federal and state governments to scrap the tampon tax to addressing the growing gender pay gap, and encouraging corporates to step up and do their bit to ensure fair and equitable pricing for products, regardless of the gender of their buyers. Whether it’s the gender pay gap, the gender price gap, or the gendered taxing of essential items, GetUp members have been drawing public attention to gender inequities in the cheekiest and most audacious ways we know how. GetUp members helped contribute to a bumper edition of the worst offenders of the “pink tax” - where near-identical products are priced higher for women than they are for men. We’ve built the momentum to address this with media interviews on the major channels, an online scrapbook of the worst offenders, and a growing campaign to call on corporates to do better on this issue (watch this space). More recently, the GetUp team has swung its support behind Subeta, a university student using GetUp’s community campaigning platform Communityrun to spearhead a campaign to scrap the 10% tax on tampons, securing national coverage and the attention of federal politicians across the country. 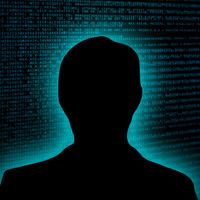 Ultimately, the government’s scare tactics saw the data retention laws pass, much to our dismay. However, we’ll continue the fight for our internet freedoms. GetUp members will be gearing up to take on any new attack, including the government’s proposed copyright laws, which risk becoming a de facto internet filter. 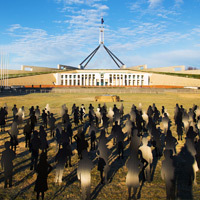 Earlier this year when the government was preparing to pass a mandatory data retention scheme, GetUp members got to work, asking their MPs to treat them as citizens, not suspects and stop these unnecessary, costly and intrusive laws. Together we ‘went dark’ against data retention, and made our campaign trend nationally on social to raise awareness of this critical issue. GetUp members took things into their own hands and learnt some simple tools to help protect our online privacy. We were able to demonstrate how the ineffective scheme would do little to prevent crime, but have a chilling effect on our democracy. 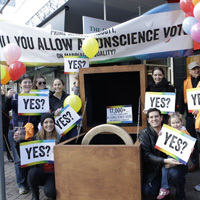 Right now, politicians are seriously considering paving the way for a free vote on marriage equality. That means we could see marriage equality before the year’s over -- but only if we build and maintain the pressure on our representatives to support an end to marriage discrimination, and continue urging Prime Minister Abbott to allow a conscience vote on the issue. GetUp members will be pushing hard on a local and national scale for a win for marriage equality -- and once this fight is over, we’ll be work to bring attention and change to a number of critical issues facing the LGBTIQ community. It’s now 2015 and Australia still doesn’t have marriage equality - but things could be set to change very soon. GetUp members have been signing petitions, writing emails, calling their MPs and running events outside their offices. It looks like the momentum has finally reached our politicians with a number of MPs changing their stance to one of support in the past few weeks. As a grassroots movement, our power is in our collective actions. You’ve told us how you're prepared to fight for the issues you care about, here's how we add up. We've seen an unprecedented number of attacks on issues and values close to the heart of our movement in recent months. Our movement has learnt the lesson that it’s not enough to win once - we need to win these fights for good. Unfortunately, we’ve seen victories taken away from us from the price on carbon pollution to live animal exports and children locked up in detention. We have to cement these wins, and to do that we have to scale up our capacity dramatically. That’s just what we’re doing. In the past two years, GetUp has almost tripled its staff. We’ve invested in more offline organisers to the point that we now have more people working on climate change - GetUp members’ consistent #1 issue - than the total staff we had two years ago. We’ve shown that you don’t need a political party to be relevant or impactful. And that despite real and growing pressures on our time and household budgets, huge numbers of Australians can and will fight for the greater good in countless ways, if only given a compelling opportunity. 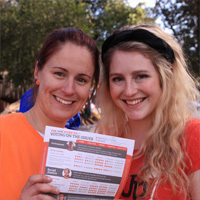 GetUp members aren’t just about signing petitions, they’ve shown they want to do the actions that have the most impact. We’ve shown that petitions are how we start a campaign, not how we end one. When we started our renewable energy campaign, it was by signing petitions and writing submissions. Then GetUp members started rallying in the streets. Next we began funding really great ads, and members escalated again to switching our power suppliers en masse. Most recently, we included ‘how to vote’ cards in QLD that doubled the amount of preference flow between pro-renewables progressive parties and helped change that election result. That’s how we’ll win progressive change and cement it in. I can promise you that in the months leading up to the next election our movement is going to be far bigger and more organised than ever. Our organisers are growing power in battleground marginal electorates around the country. 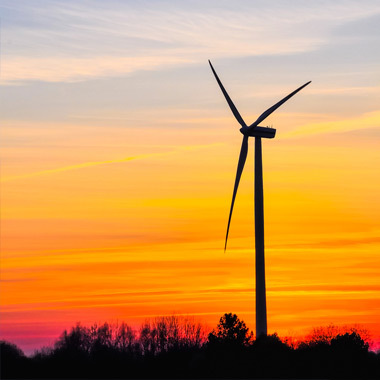 At the same time we have also begun flexing our consumer power: 11,000 of us have already switched millions of dollars away from the dirty big three power companies to those that actively support renewables. And members are saying loud and clear we want to build on that success. As we look to the months and year ahead, we want to take a moment to thank you for what you’ve made possible. Whether it’s signing petitions, funding a great tactic, attending events or the 10,000+ members chipping in on a regular basis to build our long-strategy and capacity - thank you, for all that you do. GetUp is able to campaign on the issues you care about because of regular donations from members like you. We receive no government funding. If you would like to help power a movement that fights for economic fairness, social justice, a fair democracy and environmental sustainability, please chip in right now to ensure we can continue building a better, fairer Australia. Your donation will ensure GetUp remains strong, independent, nimble and accountable only to our members.